t*rexes and tiaras: Tuesday Titles 146.. It's rare that I leave the house without either my Kindle or a physical book in my handbag. But somehow, the other day I found myself on the treadmill with nothing to read, so I downloaded this onto my iBooks app after spying it on the chart. I got stuck right in. Susan, who has been released from prison into her new life with a new identity (Emma) is based in a local town to me, making a new start and trying to escape her past. Having been convicted of killing her newborn son; something which Susan is adamant she did not do, she's keen to start a new life and get away from any reminders of her marriage. But when one day, a photograph is delivered through her door, she begins to wonder what did actually happen to her baby. Could he really still be alive, as the sender is trying to suggest? As more and more things keep happening to scare Susan, she begins to wonder what she can believe? And if he is alive, how would she know where to begin with finding Dylan? With just a couple of people she can trust around her - a friend from her time in prison and a friendly journalist, they do everything they can in order to figure out what actually happened four years ago...and why. A series of flashbacks help to give the reader a sense of where the story might be going, and makes it a little frustrating to watch Susan going off-course in her investigations, but when she finally tracks down someone from her past, things begin to make more sense. 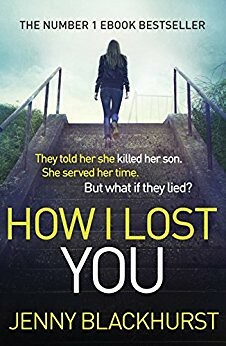 I was a little thrown by a couple of the twists in here and the resolution for me seemed a little rushed, but all in all I enjoyed this as a thriller to pass the time on the treadmill and various train journeys, so I'd give it a go if you fancy something new. It's like we burned so bright we burned out..